When BusinessWest launched its Difference Makers program in 2009, it did so with the knowledge that there are, indeed, many different ways in which a group or individual can make a difference and impact quality of life in this region. Each class has emphatically driven that point home, with honorees ranging from a Holyoke police chief to the founder of the Rays of Hope fund-raiser to battle breast cancer; from the president of Holyoke Community College to the director of the Regional Employment Board; from the man who kept hockey alive in Springfield for the past 30 years to some law-enforcement officials implementing counterintelligence tactics to confront gangs in Springfield’s North End. This year’s class of Difference Makers is no exception, and it adds several new wrinkles to the contention that there is no shortage of ways that people can change others’ lives — and for the better. Let’s start with Paula Moore. A schoolteacher — in fact, a substitute teacher at the time — she started a program to help keep young people off the streets and out of trouble. 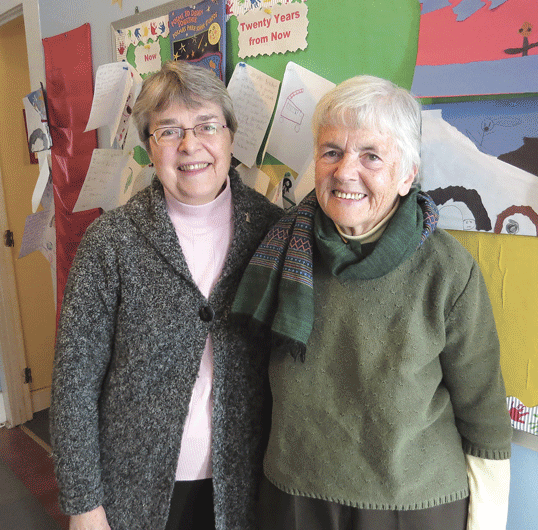 She would eventually call it the Youth Social Educational Training (YSET) program, and when the church that originally hosted these after-school sessions told Moore she would have to move it elsewhere, she used her own money and credit to acquire a dilapidated former school and renovate it into what is now known as YSET Academy. She wasn’t going to take that drastic step, but felt compelled to by overwhelming need in the community and an unrelenting desire to do something about it. And these were the same sentiments that drove five members of the Sisters of St. Joseph and a partnering layperson to scrape together $500 and prevail at the public auction of a long-vacant, seriously rundown gray Victorian on Sheldon Street in Springfield’s North End in 1982. 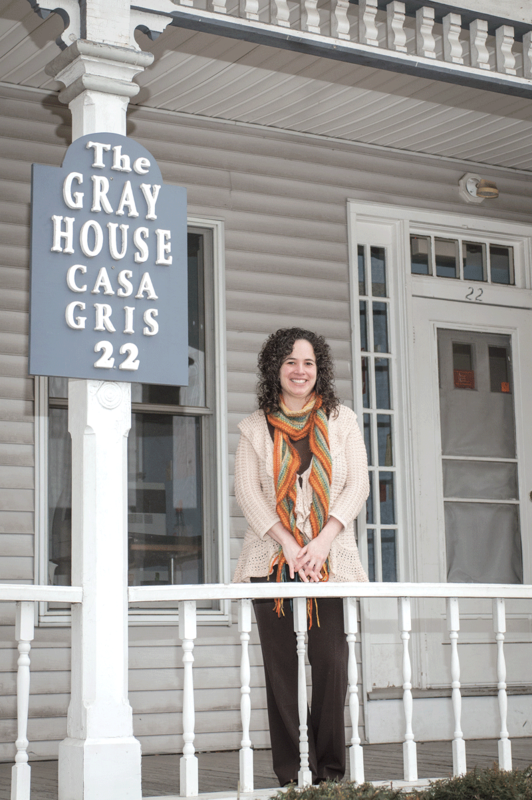 Two years later, the Gray House opened its doors, and ever since it has been providing food, clothing, adult-education programs, and its Kids Club to a ever-widening group of constituents. Improving quality of life for low-income individuals has also been the mission of a nonprofit called Rebuilding Together, which provides assistance to help people stay in their homes when, because of illness, old age, or simply a lack of resources, they cannot undertake needed repairs and upkeep. 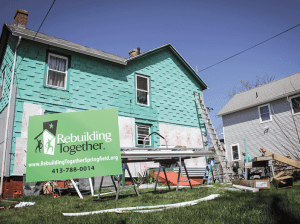 In its early years, the Springfield chapter of this agency provided support one day in April, and only to a few homeowners. Under the guidance of its first executive director, Colleen Loveless, the Springfield office has expanded its reach in every way imaginable, and has put in place an ambitious 10-year strategic plan that will change the face, and the fortunes, of a large section of the city’s Old Hill Neighborhood. Meanwhile, Michael Moriarty has committed much of his time and energy to taking on another societal challenge — early literacy. An attorney and now director of Olde Holyoke Development Corp., he has taken the lead in Holyoke’s Third Grade Literacy Initiative, helping to put in place an infrastructure and a battle plan to dramatically increase the number of young people able to read by the fourth grade — the time when people stop learning to read and begin reading to learn. And then, there’s the Melha Shriners. 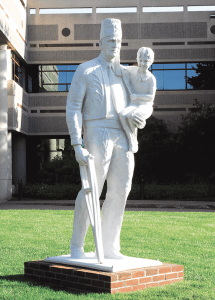 The first fraternal organization named as a Difference Maker, it’s changing lives in many ways, but especially through its efforts to help fund the many Shriners Children’s Hospitals across the country — and now Mexico and Canada — and, perhaps more importantly, raise awareness of the incredible work being done at those facilities. The Class of 2014 will be honored at the annual Difference Makers Gala on March 20 at the Log Cabin Banquet & Meeting House in Holyoke. The event will feature butlered hors d’oeuvres, lavish food stations, introductions of the Difference Makers, and remarks from the honorees. Tickets are $60 per person, with tables of 10 available. For more information, or to order tickets, call (413) 781-8600, ext. 100. Al Zippin, left, past potentate, and current Potentate William Faust. Howard Newman was relating the story of how he and his wife, Cindy, ultimately decided to adopt a 2-year-old Russian boy suffering from what’s known as ‘limb deficiency’ — the child was born missing part of his thigh bone and fibula, and had a foot where his short leg ended. He started by recalling what he could of a conversation the couple had with an orthopedic specialist practicing not far from where they lived in the Albany, N.Y. area. Essentially, the Newmans were looking for insight into what this boy was up against, what care he would need, and what kind of life he could expect. And the doctor answering their questions wasn’t exactly filling them with hope and optimism. But the Newmans were not to be easily deterred. They had the same discussion with more specialists, and eventually gained enough confidence to buy two plane tickets to Russia — and three for the ride home. When they picked up the child, they had a talk with the Russian doctor administering the physical that was required to complete paperwork for the American embassy. He had what amounted to a question wrapped in the form of a plea. “He said, ‘you are taking him to Shriners, aren’t you?’” said Howard. To make a long story somewhat shorter, they did. Specifically, they took him to the Shriners Hospital for Children on Carew Street in Springfield, and they’ve been bringing him back periodically for more than 16 years. His care there started with the amputation of his foot, leaving young Isaac in a body cast for six weeks. 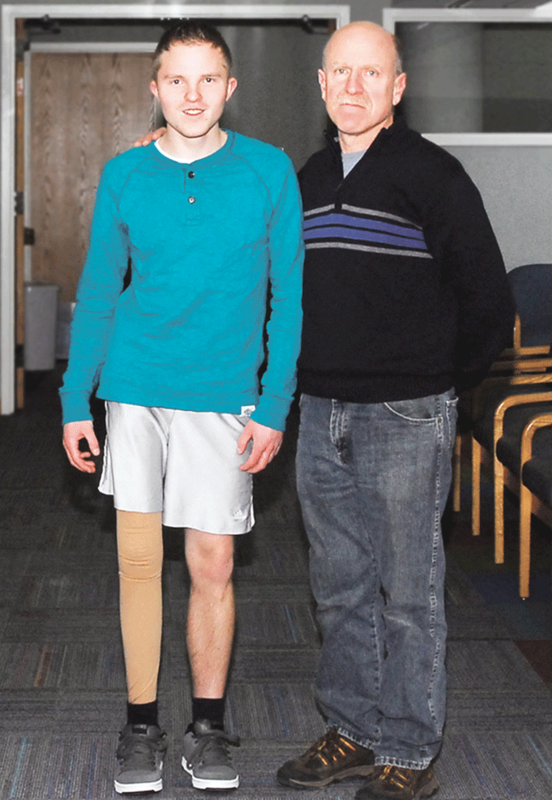 He was then fitted for a prosthetic leg, the first of several he’s needed over the years. “As I grow, I need new legs,” said Isaac, adding that there were years when he went through two. As he talked with BusinessWest on a cold Friday morning in late January, he was at the hospital to be fitted for the latest of these prosthetic limbs, all provided free of charge. “I’ve pretty much stopped growing now — they’re replacing this one because it’s faded,” said Isaac, who walks with a slight limp and can run with his fellow classmates during gym class. Howard Newman said Isaac’s experiences with Shriners went a long way toward convincing he and Cindy to adopt another Russian child with similar problems, a girl named Chloe. She is also a regular visitor at the hospital, and, like her brother, has gone through a number of prosthetic limbs. Isaac Newman, seen here with his father, Howard, has been coming to the Shriners Hospital for Children in Springfield for more than 16 years. It isn’t written down anywhere, but it is the unofficial mission of the Melha Shrine Temple, based on Longhill Street in Springfield, to help script more success stories like those involving Isaac and Chloe. 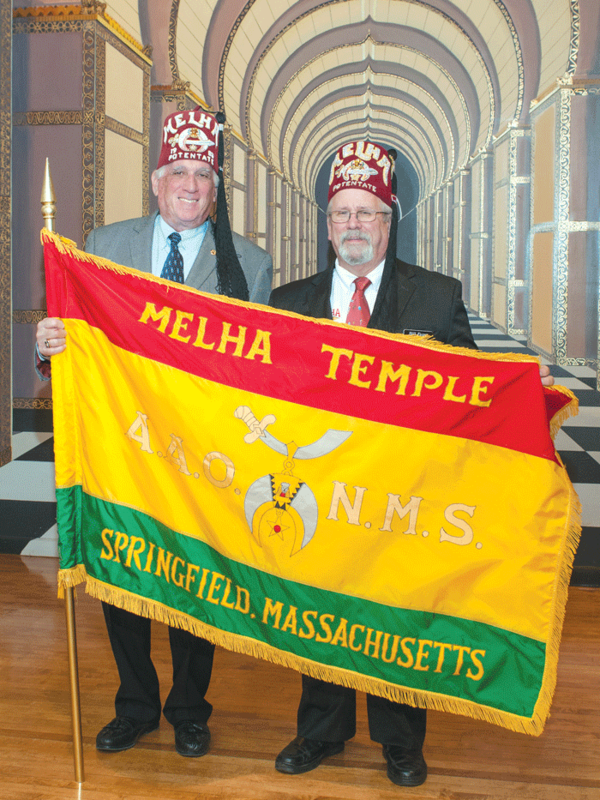 The Melha Shriners, like other temples across the U.S. and around the world, raise money to fund the 22 Shriners Childrens Hospitals in this country and now also Canada and Mexico. But equally important, they work tirelessly to raise awareness of these facilities and the critical, compassionate work that goes on at each one, while also dispelling the misperceptions that exist concerning them. And there are many, said Chuck Walczak, administrator for both the Springfield hospital and another facility in Erie, Pa., starting with the commonly held belief that the hospitals care only for the children of Shriners, or that there are other limitations on who receives services. There’s also the notion that, because the care provided is free — although the hospitals will now ask patients’ families to use their insurance, if they have it — it is not of the highest quality. Even physicians practicing behind the former Iron Curtain know that’s not the case. 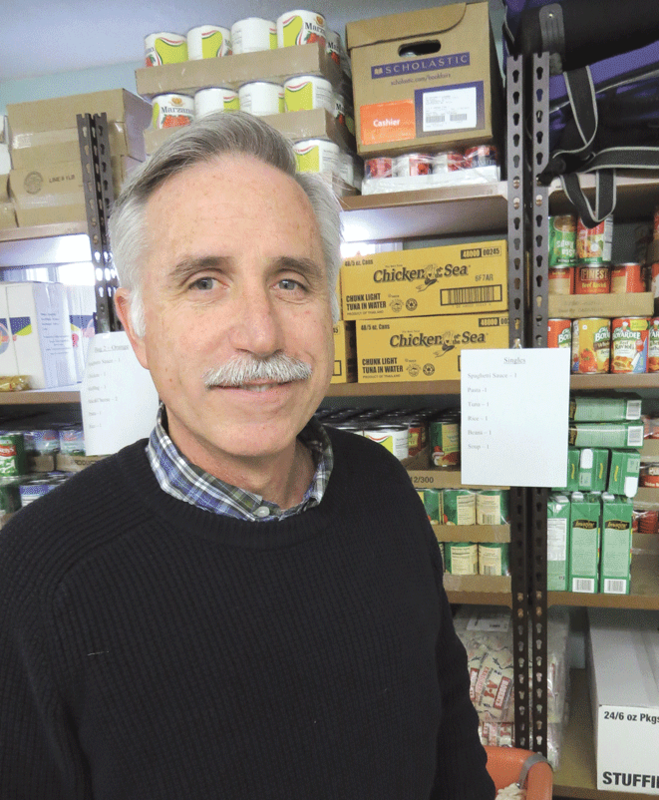 “Unfortunately, we’re a best-kept secret, and that’s not what we want to be,” said Walzcak, who credited the Melha temple with excellent, and ongoing, work to help rid the facility of that distinction. And as the Shriners carry out that important work, they do it with a distinctive style and attitude, if you will — one focused on fun. The most visible manifestations of this are the annual Shrine Circus at the Big E and the ever-present clown unit, but those qualities permeate each of the 14 units, from bands to the many motorized vehicles, and each parade they appear at. Al Zippin, long-time member of the Melha Temple, past potentate, and unofficial historian, summed it all up nicely. “As Shriners, we’re investing in the future, and the reason I say that is our investment is in children — if we improve the quality of their lives, the future gets brighter for everyone,” he said, striking at the heart of the reason why the Melha group has been chosen as a Difference Maker for 2014. 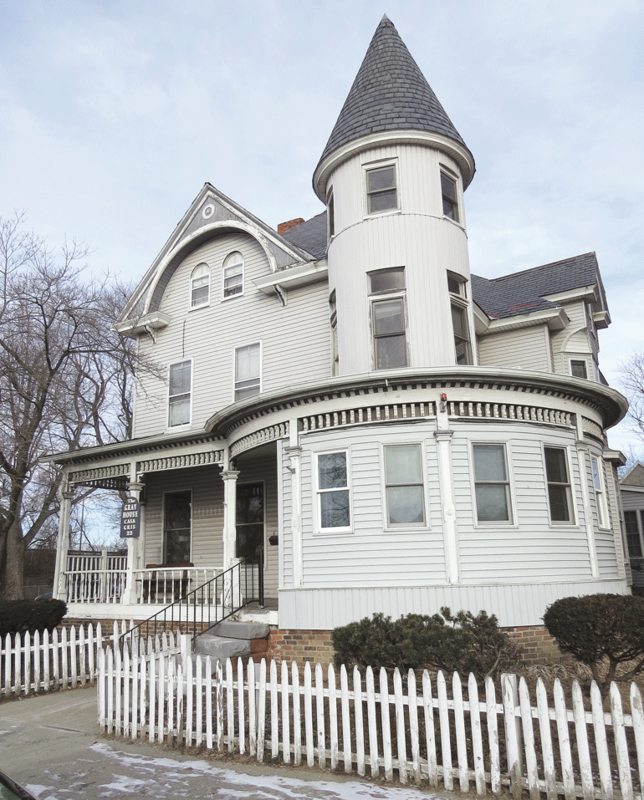 As he talked with BusinessWest at the Shriners facility, one of the many mansions on Longhill Street that have been retrofitted for other purposes, Zippin said the Melha Temple is now 115 years old. It boasts members from across Western Mass., from the New York border to Worcester, and also from Northern Conn. There are roughly 1,400 members now, down from about 3,500 three decades ago, and perhaps 5,000 in the ’60s, he noted, adding that, like many fraternal organizations and service clubs, the Shriners are challenged with the task of convincing members of the younger generations to make the requisite commitments of time and energy to the organization. 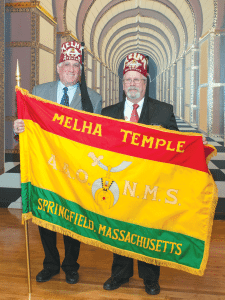 But while smaller in size, the Melha Temple remains very active and quite impactful, said Zippin, who used that term to describe everything from the many forms of support given to all Shriners hospitals, and especially the Springfield facility, to participation in events and the staging of the circus, to the way in which this organization inspires its members to continually find ways to give back to the community. “Once you get a taste of this,” he said, deploying that word to describe all of the above, “you don’t restrict yourself to the Shriners. There are 14 units within the Melha Temple, including the clowns (some of whom will make more than 100 appearances a year); a number of bands, including the popular Highlanders (bagpipers), a military band, a drum corps, an oriental band, and others; a host of motorized teams; and other units assigned specific projects. One orchestrates the circus, for example, while another, the so-called Directors Staff, offers tours of the Springfield hospital each weekend. 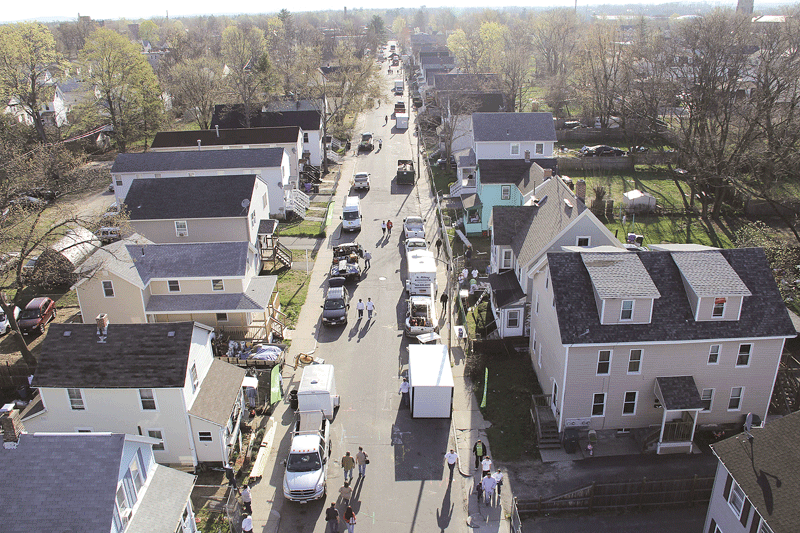 The performing units take part in a number of parades, including the Holyoke St. Patrick’s Day Parade, the July 4 event in East Longmeadow, and many others, said current Potentate William Faust, adding that the latest addition to the calendar is one in Winchendon. 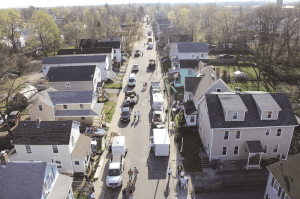 There are also a number of events, such as the Chowder Bowl Football Classic involving local high-school stars, the annual Springfield Carnival, the temple’s annual game dinner, and others, all of which are designed for family involvement. And that’s especially true of the annual Shrine Circus at the Big E.
The four-day spectacle, which debuted in the ’30s and has now continued for 60 consecutive years, draws thousands of attendees annually, said Zippin, and boasts a number of ongoing traditions. Chief among them is the so-called Community Services Show, the Friday-afternoon performance, for which the Shriners donate all 4,700 tickets to area human-services agencies that work with children. The Shriner clowns have historically been one of the most visible manifestations of the Melha Temple’s huge presence in the community. Zippin noted that he’s now seen three generations of the same family grow up with the event — and often come back together each May. 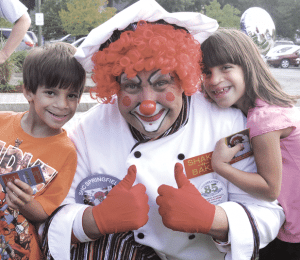 But while the circus and the parades bring revenue to the Melha Temple and, in turn, its units entertain and inspire people of all ages, such community outreach is undertaken for one reason — to bring important exposure to the Shriners’ philanthropy, its children’s hospitals. This mindset applies to the circus as well, even though the proceeds from those shows go toward operating the temple and the Longhill Street facility, not the hospital. When asked to put the Shriners — meaning the organization and its mission — into perspective, Zippin relayed a sentiment he’s probably expressed hundreds of times and in front of all kinds of audiences. “When we have people who are thinking of becoming Shriners or who just recently joined, I always say to them, ‘how many organizations do you know where you can go in, and simply by being a member and paying your dues, you can have an impact on a child’s life — indirectly, but an impact?’” he said, while shifting the conversation about the organization back to where he thought it belonged: the hospitals. • The Cleft Lip and Palate Clinic, which follows 360 patients through treatment options for cleft lip and palate repair. Overall, the Springfield hospital, one of several that focus on muscular-skeletal disorders, has 12,000 active patients, who can receive care there until they are 21. They are treated for everything from chest-wall deformities to hip disorders; knock knees to limb deficiency; scoliosis and other spine deformities to spina bifida. As with both Isaac and Chloe Newman, patients are offered care over a number of years, said Walczak. One ongoing challenge for the hospital, as he mentioned, is creating awareness of its presence, specialties, track record, and policies for admitting anyone whose condition meets its scope of services, free of charge. There is a new national marketing slogan — “Love to the Rescue” — that has been created to help brand and promote the hospitals as a group, he went on, “but within each of our markets, it’s very difficult to get the word out in a way that reaches everyone the way we would like. “We don’t put a lot of money in our marketing budgets — we try to put every dollar toward patient care,” he continued, adding that this is why the multi-faceted support of the many Shrine temples, and especially Melha, is so critical to the hospital’s success moving forward. 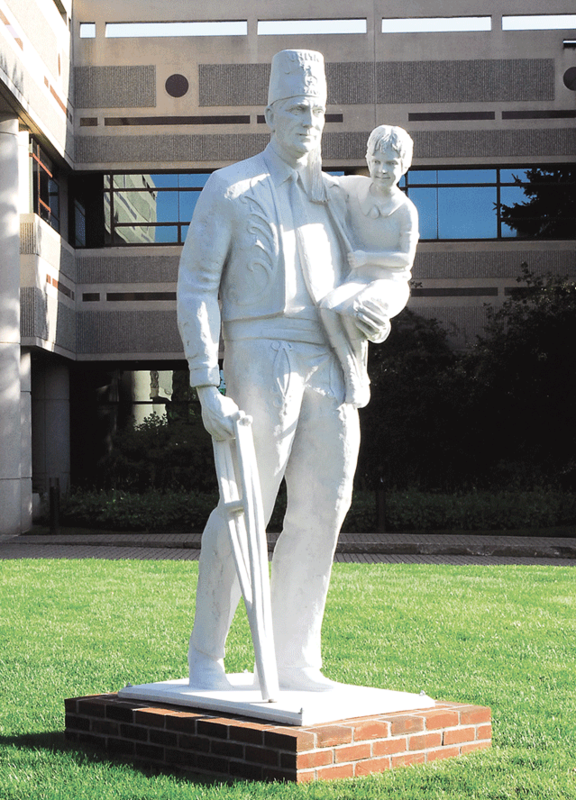 The statue outside the Shriners Hospital in Springfield pays homage to the Shriners and their work with children. Shriners serve the facility in a number of ways, Walczak said — everything from those aforementioned tours to serving as volunteer drivers to pick up and drop off patients, to serving on the hospital’s board of governors. “It’s a very collaborative relationship,” he said of the temple and the hospital, adding that tours are just one example of this phenomenon, but an important one because they usually bring out the passion the organization has for the hospital. Isaac Newman will be graduating from high school next year. That orthopedic specialist in Albany with whom his parents-to-be consulted all those years ago could not have been more wrong about his fate and the quality of life he would enjoy. And the same is true for his sister. As Dr. Drvaric noted, Issac’s is a normal existence, apart from having to put his leg on every day. He and his family owe that to the Shriners around the world, and especially those at the Melha Temple, who have made the children’s hospitals their philanthropy — and their reason for being. And for that, all those who have served the organization are worthy to be called Difference Makers. Paula Moore had officially made up her mind. 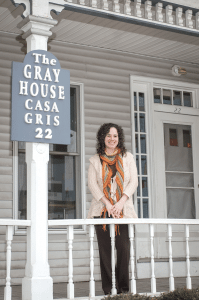 She was not going to jeopardize her credit, or her livelihood, for that matter, to purchase a home for the after-school program she started in Springfield in 2003 to help keep young people off the streets, out of trouble, and on a better path to gainful employment. For several years, the historic South Congregational Church in the Maple Heights neighborhood had provided her with space, free of charge, to operate this initiative that she would eventually call the Youth Social Educational Training Academy, or YSET, as it’s commonly known, and give it what Moore called “legitimacy.” However, by 2009, there were so many kids involved, church leaders told her she would have to take the program elsewhere. But there was no convenient ‘elsewhere,’ and Moore, while committed to the endeavor, its mission, and the young people it served, simply wasn’t going to commit her own money to buy a building for a program that generated no revenue. Eventually, though, she said she felt “forced” to change her mind, and told BusinessWest there were many reasons she uses that particular word when she recounts this critical chapter in YSET’s history. Meanwhile, her efforts to convince city officials to give her space — somewhere, anywhere — met with only frustration. “I couldn’t even get an old crack house for a dollar,” she recalled. But maybe the biggest reason for the change of heart was that she started seeing some bad things happen to people because the group wasn’t together. And there was one individual, one case, that stood out in her mind. “One of my young people had gotten arrested for robbing the Domino’s delivery guy at gunpoint,” she told BusinessWest. “He said he didn’t do it, but he went to jail, and this was at a time when he was asking, ‘when are we going to get together?’ ‘When are we going to have dinner, Miss Paula?’ I remember I was just trying to put him off. The former School Street School, a reclamation project in every sense of that phrase, is now home to YSET Academy. “And then, it was like, ‘OK, I have to do something,’” she went on, fast-forwarding the story to the point where she arrived at the downtown Springfield offices of NUVO Bank looking to secure a mortgage on the long-vacant, century-old School Street School building, which was a reclamation project in every way imaginable, but also her best option. Dale Janes, president of the bank and the officer who would eventually handle this application, remembers two things about Moore — her smile and her determination. As it turned out, getting the mortgage would be exponentially easier than making the former school ready for prime time. What followed was two years of hard work during which Moore would get to know those in Springfield’s Building Department on a first-name basis, take out loans from her credit union to finance portions of the multi-faceted restoration project, become the quintessential do-it-yourselfer, and essentially beg, barter, and negotiate with countless contractors to get the doors open (more on all that later). There is also a preschool, one of two revenue streams (a few churches also lease out some space), and opportunities for many young people to grow through jobs as junior staffers. More than 2,000 young people have participated in the program since it was launched, and that number should rise considerably over the next several years, said Moore, adding that her not-so-long-term goal — she doesn’t know how long it will take to meet it — is to make YSET considerably more self-sustaining, financially and otherwise, which would enable her to get some of her life back. Indeed, she not only oversees the operation and sets the tone, but also drives the van to collect students for the after-school programs and picks up supplies on an almost daily basis. When that self-sufficiency arrives is anyone’s guess, but for now, Moore is, for the most part, at least, enjoying the ride, both literally and figuratively, and making a difference in every sense of that phrase. Moore was behind the wheel of the van for one of several meetings with BusinessWest for this article. Her schedule is packed — she’s at Putnam starting at 7 a.m. and usually involved with YSET in some capacity until 10 p.m. most weekdays — so for this interview, as with many aspects of her life, work, and life’s work, she was multi-tasking. Backing up a bit — with her story, not the van — Moore said she was substitute teaching in Springfield at the time she conceptualized her after-school program. 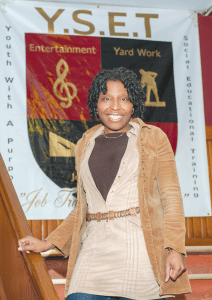 She had been teaching at Charter Oak Preparatory Academy in Connecticut, but it closed its doors, and she found some work in the city where she grew up and attended both Cathedral High School and Western New England College, and is now pursuing a doctorate at American International College. Paula Moore wears many hats at YSET Academy, from administrator to dance teacher to van driver, a role she took on to help keep costs down. In the beginning, the program was mostly about getting kids off the streets and helping them with the many aspects of becoming employable and then getting employed. Eventually, these young people started articulating wants and needs that were later translated into the full slate of developmental workshops and summer learning programs at the academy. You could call all this a labor of love, but Moore said YSET was never her life’s ambition, or dream — she saves those terms for when she talks about teaching. Instead, both the program and its new home came about out of necessity and frustration. “This isn’t something I always wanted to do,” she said. But within a few years of starting YSET, Moore was putting about 40 hours a week into the initiative and digging septic tanks for builder Dan Roulier, whom she described as a friend and mentor, to help make all the ends meet. By 2009, when the number of program participants had become too large for the church to handle comfortably, officials there gave Moore six months to find a new home for the initiative. She remembers that her initial reaction was that she had done her “good deed” for six years and it was time to essentially shut things down. “That’s when people started calling me and coming over to my house, and I knew I just had to find a place for them to go,” she went on, adding that she was further inspired by that incident involving the pizza-delivery person. 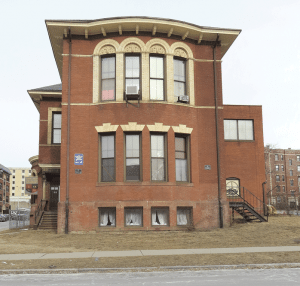 After a lengthy and unsuccessful search for a small home in which to relocate YSET, the School Street property presented itself, and she eventually found herself in Janes’s office at NUVO. The rest, you might say, is history in the making. Moore doesn’t have any ‘before’ pictures of YSET’s headquarters facility. She said taking them was too depressing an exercise, so she didn’t bother. And she doesn’t really care to be reminded of what it looked like then. Indeed, looking back on those days is a painful exercise, although the rehab effort was in many ways a rewarding and educational experience. Indeed, she said she watched a number of home-improvement videos, became proficient at a number of skills she never imagined she would, and, perhaps most importantly, honed the fine arts of partnership building and negotiation. 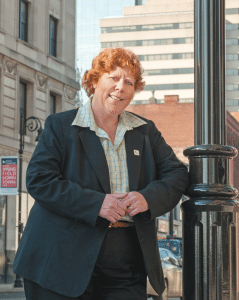 With the former, she said she managed to create sponsor relationships with several area banks, the Regional Employment Board of Hampden County, and even Bob’s Discount Furniture. As for the latter, well, as one example, she pointed to the parking lot she just eased the van into. Original estimates to pave a large portion of the property were $90,000, she said, adding that she quickly reduced the scope of the project by half, and then, over the course of several months, whittled the price of the work from $45,000 to roughly $8,000. “I just kept going back and going back, trying to get that price down,” she said. 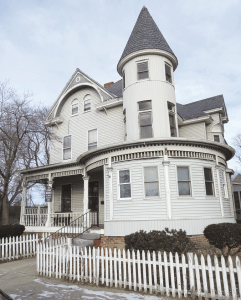 Through a variety of tactics — from bartering to doing some of the work herself — she managed to get roughly $100,000 work of renovations for a fraction of that amount. These days, Moore is focused much more on what goes on inside the building, everything from shaping programs and schedules to training staff. The after-school component of the academy now boasts developmental workshops in everything from “math adventures” to résumé and cover-letter writing; dance, drama, and theater to “reading exploration”; video production to fitness. There is also a summer camp that provides a host of activities, including fishing, hiking, swimming, and paddleboating, but also learning opportunities through the study of marine life, exploring the ecosystem, and water testing. The lessons are interactive, hands-on, and project-based, said Moore, adding that they help explain the academy’s motto — “learn more to earn more” — and its mission to help young people not only get off the streets, but start on a path to employment. And there have been a number of success stories. Na’kyia Slater is still in the process of scripting one of them. Now 24, she started attending those Monday sessions at South Congregational Church a decade ago after Moore, or Miss Paula, as staffers and young people call her, spoke at her church. “It gave us something to look forward to, and it helped keep teens off the streets,” she said of the program, adding that, through Moore’s help, she was able to secure several summer jobs through her high-school years. Moving forward, Moore said there are many things on her to-do list to secure long-term stability and growth for YSET. She would like a larger board of directors, for example, and hopefully one that includes bankers and accountants that could help bring more order to the agency’s finances. Securing additional revenue sources is another priority, she said, as is some long-term strategic planning. And then, there are those efforts to make the organization more self-sufficient, in every sense of that phrase. Elaborating, she said she wants the agency to grow up, mature, and be able to stand on its own — much like the young people YSET serves. Returning to the saga of that individual sent away for allegedly robbing a pizza-delivery person, Moore said he recently got out of prison. Apparently, he is not heeding that advice. He didn’t go to a job interview Moore set up for him, and sources tell her that he is, in fact, hanging out with those she instructed him to avoid. “When I see him, I’m going to wring his neck,” she said with a voice that embodied that sense of dedication and enthusiasm that so impressed Dale Janes and everyone else who has encountered Miss Paula. She has no intention of giving up on that young man — and that’s just one of many reasons why she’s worthy of the title Difference Maker. Attorney and Director of Olde Holyoke Development Corp.
Michael Moriarty was searching for the right words to describe how he felt when he learned how Holyoke’s third-graders fared in the reading portion of the MCAS test last year, and found an analogy that works on a number of levels. 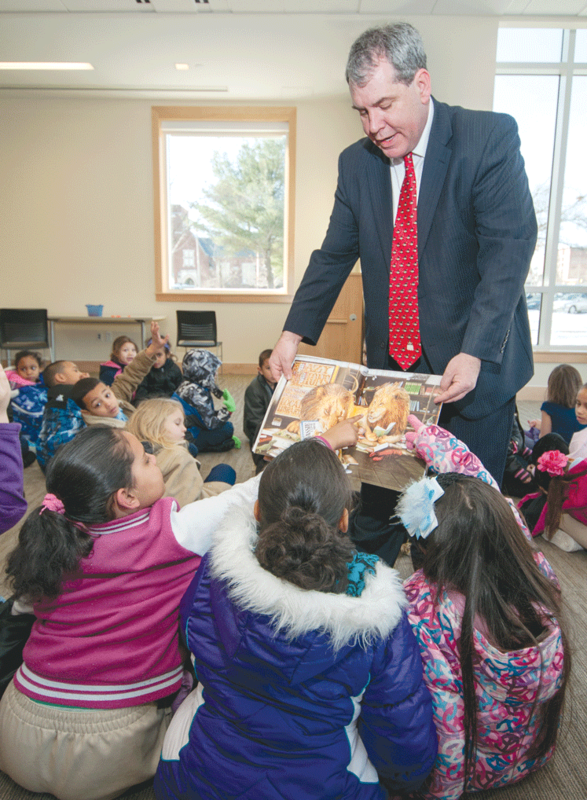 “I kind of know what a farmer feels like when his crops fail,” said Moriarty, who has been the main architect of ongoing initiatives to bring about improvement in early literacy across the city, as he talked about his reaction to the community going backward, not forward, when it comes to third-grade literacy rates. Officially, Holyoke went from having 20% of its third graders reading at level (the state average is just over 60%) to 13%, said Moriarty, noting that, while most other communities across the Commonwealth went down in the tests taken last spring, Holyoke’s fall was far more precipitous, leaving ample reason for conjecture and concern. But as with the farmer and his field, when it comes to Holyoke’s participation in the national Campaign for Grade Level Reading, or GLR, which Moriarty serves as community leader, he believes the difficult work of preparing the ground and sowing seeds has been done, and now it’s time to continue the even harder work needed to cultivate positive results. 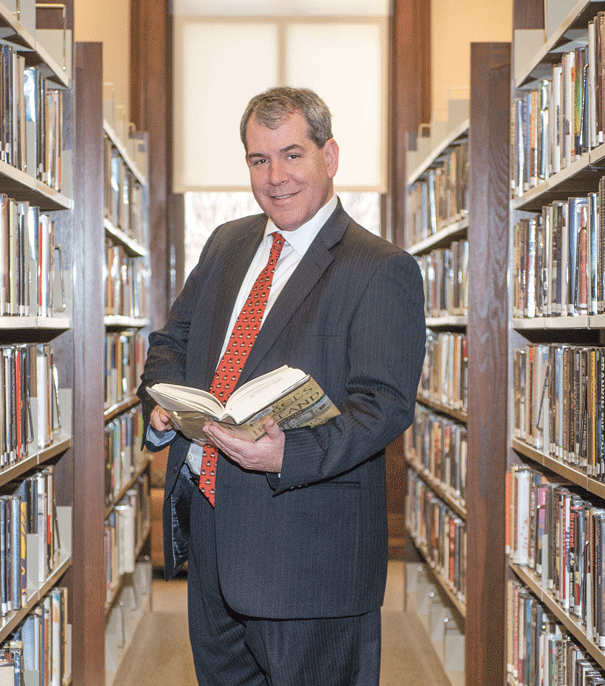 Moriarty, a third-generation attorney and former School Committee member who recently became president of Olde Holyoke Development Corp., is firmly committed to achieving those positive results, and he believes the pieces are falling into place to reverse recent trends. These pieces include personnel, infrastructure, and a set of strategic initiatives, he said. In that first category are administrators, including new Superintendent of Schools Sergio Paez, who led Worcester’s GLR initiatives, and the city’s new early literacy coordinator, Rosemary Hernandez, who assumed her post late last month. Michael Moriarty says there are many signs of life in Holyoke, the nation’s first planned industrial city, but true revitalization won’t happen unless chronically low literacy rates are reversed. As for the infrastructure, he went on, it is modeled after Springfield’s highly touted Read for Success program, put in place by the Irene E. and George A. Davis Foundation. It has put early literacy on the front burner in the City Homes and kept it there, and, more importantly, it has improved third-grade literacy rates from 20% to 40% through aggressive programming and creation of bridges between the community and the school department to address the matter. And the strategic initiatives? They center around the three critical elements in poor reading proficiency — chronic absenteeism, summer learning loss, and kindergarten school readiness. “When you look at why children aren’t reading at grade level by the fourth grade, they tend to have come to school as kindergartners not well-prepared for school or learning, they tend to not have a lot going on in the summer, so they go backwards, and they tend to be the kids who are most absent, because obviously you’re not learning a whole lot if you’re not showing up,” said Moriarty, who clearly conveyed his passion for his work as he spoke to BusinessWest. “And very often, with the kids who aren’t reading proficiently, all three of those things turn out to be true. Still, he believes the community can and will move the needle. There are a number of examples of community activism on Moriarty’s résumé. In addition to his work on the School Committee, he’s been involved with everything from the city’s Rotary Club to the Holyoke St. Patrick’s Day Committee to the public television station WGBY. He’s also been a strong supporter of the arts and arts education, and in 2008, he and a group of community members formed Friends of Holyoke Public Schools Inc., which has funded the Summer Strings program, a free music camp for Holyoke public-school students. But it is his work to bring the issue of early literacy into the forefront — and to be a prime mover in the effort to draft and execute a battle plan to address the problem — that puts him firmly in the category of Difference Maker. Moriarty graduated from Holyoke High School in 1979, which means he can easily recall when this city, and especially its downtown, were still bustling. He remembers a number of restaurants and clubs that were booming. 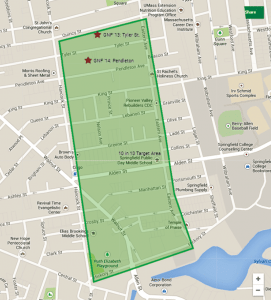 “There were so many places to go in downtown Holyoke at that time,” he said. 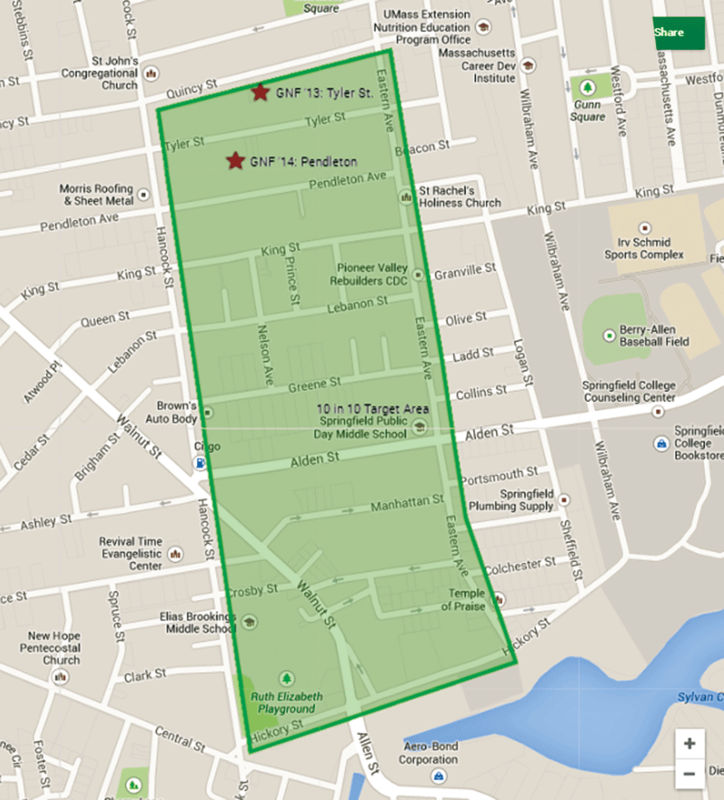 “My dad’s law office was around the corner from Gleason’s Town House on Suffolk Street. I remember it was a high-end piano bar and quite a fancy place to go to. But Moriarty’s timeline in the nation’s first planned industrial city means he’s also seen the climax of a slow, painful decline that actually began just after the start of the Great Depression. By the 1970s, most all of the mills that had given the city its identity had closed or moved south. Meanwhile, in Moriarty’s junior year in high school, the Holyoke Mall opened its doors to considerable fanfare. Those Thursday nights he recalled so fondly have continued — sort of — at the mall, he said, but downtown slowly started changing and retreating, and it has really never been the same. Indeed, there are now vacant lots where the Golden Lemon and Kelly’s Lobster House, which burned down in the ’80s, once stood. And the city’s daily newspaper, the Transcript, which once operated on High Street and won Pulitzer prizes for its coverage of a city in decline and the issues that changed its fate, closed in 1995. Many of the people Moriarty graduated from high school with — as well as a good number of those who came before and after — knew there were few opportunities for them in their hometown, so they left. And almost since the day he returned, he’s been involved with the community and, more recently, efforts to revive its schools. He first ran for the school board in 2000 and served 13 years. He began his professional career teaching social studies at Peck Junior High School, but was laid off in 1989. With some encouragement from his wife, a lawyer, he attended Western New England University Law School and essentially carried on the family law practice started by his grandfather and continued by his father, focusing on business law, family law, and estate planning. Roughly two decades later, in the early spring of 2013, he was recruited by the board of directors of Olde Holyoke Development Corp. to succeed long-time president Richard Courchesne, whom Moriarty credits with effectively carrying out — and broadening — the agency’s mission to develop real estate, manage low- to moderate-income housing, and provide financial assistance to Holyoke residents. 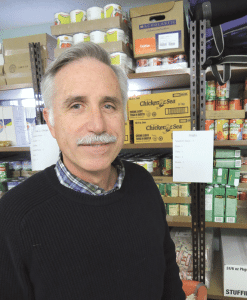 He told BusinessWest that he’s enjoying his new challenge, as well as his Monday nights, which he got back after opting not to seek another term on the school board so he could focus on his new job and his early-literacy responsibilities. Michael Moriarty says the recent decline in literacy rates is discouraging, but he believes the pieces are in place to achieve real improvement. Today, Moriarty sees many signs of life, and hope, in his hometown. 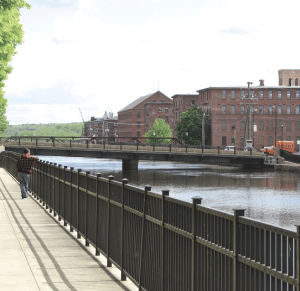 These include a growing arts community, new businesses in many of the old mills, the arrival of some young professionals, and a somewhat renewed sense of civic pride. But he acknowledges that there has historically been a rather large barrier to further improvement, additional economic development, and more complete revitalization — those intolerably low rates of third-grade reading proficiency. It was this recognized need to change this equation that prompted him to take a lead role in early-literacy initiatives and act as Holyoke’s liaison with the national Campaign for Grade Level Reading. In that capacity, he wrote and submitted a community-solutions action plan, one that borrows heavily from Read for Success, but is far more embedded with the school department, which should, in theory, make it easier to generate change and improvement. Like similar programs, Holyoke’s initiative recognizes the importance of that third-grade MCAS test as a milestone in young people’s lives. So, in simple terms, Holyoke’s early-literacy program is designed to position young people so they don’t have to catch up. “Children who are illiterate are not passing third-grade MCAS,” he told BusinessWest, adding that, if anything, it’s the other way around. Moving forward, he is optimistic that the numbers will begin to improve and perhaps someday approach that very aggressive goal set years ago for 80% third-grade proficiency. Part of that optimism is based on the hiring of Paez, who was assistant superintendent of English Language Learners (ELL) students in Worcester, and significantly improved the percentage of those students who read at grade level. “He recognized the importance of this work there, and he was able to use most of the elements of a vibrant literacy campaign as we were going through the hiring process,” he said, “and as far as my vote was concerned, that went a long way toward his getting his job. Overall, those involved in this endeavor need to focus on the future and continuous improvement, he added. Today, Moriarty still wears a number of hats with this initiative. For example, he represents Holyoke at meetings of the Mass. Reading Proficiency Learning Network, a group comprised of representatives from Boston, Holyoke, Pittsfield, Springfield, and Worcester who have committed to learning and sharing best practices to ensure that young people have access to high-quality early education and become proficient readers. Meanwhile, he also co-chairs a facet of the broad initiative called Attend for Literacy, which, as the names suggests, oversees a policy to identify children who are chronically absent from school and puts good practices in place to address that issue. And occasionally, he reads to young people in the classroom. He does this to engage the students in reading and also show them that people are willing to get involved in their education. He usually reads the same book, Animalia, by Graeme Base, which combines colorful artwork with alliteration to teach the alphabet. “There will be a giant gorilla eating gorgeous green grapes in a glass house,” he said, adding that he enjoys these assignments because they give him perspective on the challenge and bring him even more into the process of crafting solutions. Moriarty recently appeared before the school board, complete with several new members, including one occupying the at-large seat he relinquished last month, and informed it that Holyoke was to be recognized nationally as a “pacesetting community” by the Campaign for Grade Level Reading, an honor resulting in large part from his many efforts. While obviously proud of this accomplishment, Moriarty made it abundantly clear that his goal is to one day break much better and far more important news — that Holyoke is making clear progress toward meeting those ambitious goals for reading proficiency. He’s not sure when he’ll be able to do that, but he suspects that it won’t be long — if this community remains committed to early literacy and to all the hard work that is involved with moving Holyoke from the very bottom of the charts to somewhere near the top. If that happens, then Moriarty will know what it feels like to be a farmer with a bumper crop.